ConAgra Foods runs digital campaigns for some of the most recognizable consumer brands in the world, including Chef Boyardee®, Hebrew National, Orville Redenbacher’s, PAM, Reddi-wip and Slim Jim. In order to drive both brand-level metrics and sales volume for these products, ConAgra Foods makes measurement a priority to ensure that it gets the right message to the right audience. A baseline evaluation of ConAgra Foods campaign performance done using comScore validated Campaign Essentials™ (vCE®) provided some startling insights. For the campaigns measured, only 25% of delivered impressions hit the intended demo-target, and only 50% of impressions were delivered in-view. negotiation process, Spark Communications works with each publisher partner to set delivery expectations, ultimately using comScore vCE reporting as the neutral metric of accountability. Typically, guarantees for display ads range from 80-100% validated impressions, while guarantees for video ads usually fall within the 90-100% in-target range. ConAgra Foods is willing to pay a higher CPM to hit these validation and audience delivery rates as it believes in aligning price with value. ConAgra Foods compared these metrics calculated for both gross impressions and viewable impressions, and found that incremental volume increased by 74 percent for in-view impressions, while incremental volume per dollar increased by 39 percent. Overall, they increased their ROI by a significant margin as a result of employing ad validation. Internet measurement firm comScore conducted a baseline evaluation of ConAgra Foods’ digital ad campaign performance using validated Campaign Essentials™ (vCE®), and the results provided some startling insights. For the campaigns measured, only 25 percent of delivered impressions hit the intended demo-target, and only 50 percent of impressions were delivered in-view. ConAgra Foods changed its media buying strategy, negotiating for guaranteed viewability and audience delivery rates in order to improve its campaign performance. ConAgra Foods also achieved greater sales volume ROI and efficiency through these validated and in-target rate guarantees. 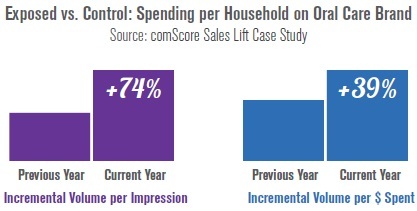 In an analysis of a key display campaign, ConAgra Foods found that viewability led to significant increases in two key ROI metrics: incremental sales volume per impression and incremental sales volume per dollar spent. ConAgra Foods compared these metrics calculated for both gross impressions and viewable impressions, and found that incremental volume increased by 74% for in-view impressions, while incremental volume per dollar increased by 39%. This was always the assumption around viewability and audience delivery, but ConAgra Foods has tangible proof of the importance of this measurement. ConAgra Foods buys media for their campaigns using viewability and audience guarantees. Compared to previous campaigns bought based on gross impressions, these ConAgra Foods campaigns achieved increases in attribute awareness lift of up to 70 percent and increases of purchase intent lift of up to 30 percent. Before the media buy, advertisers and agencies must clearly communicate the audience and viewability goals of the campaign and establish a process for evaluating publisher performance. ConAgra Foods relies on its agency, Spark Communications, to monitor campaign performance by publisher and make sure publishers stay on track to meeting campaign goals. Spark Communications works with the publishers directly to maintain delivery metrics within the rates guaranteed by the terms of the media buy. This year, a key topic discussed across the industry was the need for validated in-target measurement, as hitting your target audience only matters if it had the opportunity to see the ad. An analysis of campaign data from vCE® showed that viewability and validation rates varied across demographic breaks, meaning that the common practice of applying a flat viewability rate from one measurement vendor across the audience data from another measurement vendor will often lead to under- or over-valuing ad delivery across audience segments. To understand the true performance of the ad campaign, advertisers and agencies should use an unduplicated validated in-target metric. 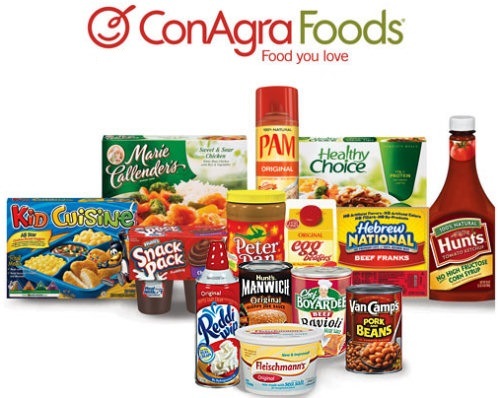 Given the marketing effectiveness and efficiency that this advanced delivery has provided, ConAgra Foods is committed to working with its agency and publisher partners to continue to evaluate the validation and audience delivery of its online ad campaigns in the future.